“Stress granules” – globs of proteins and RNAs – form inside cells in response to environmental stressors and are thought to regulate protein production. Several viruses induce stress granule formation, but the function of these structures during virus replication is not well understood. James Crowe Jr., M.D., and colleagues report that respiratory syncytial virus (RSV), a leading cause of serious viral respiratory tract illness in infants and the elderly, induces stress granule formation in epithelial cells during infection. They found that stress granules are distinct from viral protein/RNA aggregates called inclusion bodies and that infected cells containing stress granules had more RSV protein. In cells deficient in stress granule formation, RSV replication was diminished. RSV genomic RNA only transiently interacted with stress granules, while it strongly associated with inclusion bodies, suggesting that these structures (not stress granules) are the active sites of viral replication. The studies in the December Journal of Virology suggest that RSV induces a stress granule response and preferentially replicates in host cells with this response. Injecting medications directly into the eye – “intravitreal” (IVT) injection – is a common method of treating eye diseases, including age-related macular degeneration. However, postoperative eye infections (endophthalmitis) are a serious risk. Stephen Kim, M.D., and colleagues analyzed the baseline antibiotic susceptibility of bacteria isolated from the eyes of patients receiving IVT injections (but not yet treated with topical antibiotic eye drops). In the December issue of Ophthalmology, they report substantial levels of resistance to third- and fourth-generation fluoroquinolone antibiotics, as well as isolates resistant to multiple antibiotics. Coagulase-negative staphylococci (CNS) – bacterial strains responsible for most postoperative endophthalmitis cases – accounted for 65 percent of the 57 bacterial species isolated. Sixty percent of CNS isolates were resistant to three or more antibiotics, and 30 percent were resistant to five or more antibiotics. With the number of IVT treatments expected to increase rapidly due to an aging population and expanding number of applications, these findings will be important for developing strategies to prevent and treat post-injection eye infections. New convulsive attacks of “shaking all over” usually prompt physicians to initiate anti-epileptic drug therapy. But the seizures may not respond to medication, and a non-epileptic origin may eventually be demonstrated. Definitive distinction between convulsive epileptic seizures (CES) and convulsive non-epileptic seizures (CNES) requires video/EEG monitoring, a costly inpatient procedure not routinely used in initial diagnosis. Nabil Azar, M.D., and colleagues evaluated the diagnostic value of a structured witness questionnaire based on recall of features during or after seizures, such as eye position, types of movement, and breathing. They interviewed the “best” witness (the person who had observed the most seizures) for 45 patients admitted for video/EEG evaluation of convulsive attacks and found that the questionnaire distinguished CES from CNES with a predictive accuracy of 84.4 percent. The investigators suggest in the November issue of Epilepsy & Behavior that a witness questionnaire be used in conjunction with clinical history, EEG and imaging data to guide treatment of patients with convulsive attacks. Bipolar disorder affects about 2.6 percent of the U.S. population, but the neural basis of this disorder is unclear. Some studies have implicated involvement of the hippocampus, a seahorse-shaped brain region involved in long-term memory and spatial navigation, but the findings have been conflicting. 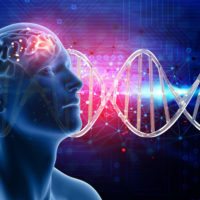 Christine Konradi, Ph.D., and colleagues assessed hippocampal volume and total number of neurons and interneurons (neurons that connect – and inhibit the action of – neighboring neurons) in human postmortem brain specimens from both bipolar and unaffected subjects. While the two groups did not differ in total hippocampal neuron number, the bipolar disorder group showed a marked reduction in the number of neurons expressing somatostatin and parvalbumin – protein markers of interneurons. Since these types of neurons are essential for cognitive processing, abnormalities in this system may explain some aspects of bipolar disorder. Additionally, the results – reported in the Archives of General Psychiatry – may help explain the efficacy of current treatments for bipolar disorder and aid in developing novel interventions.